The 15 different chair bases can be combined with a seat shell in polypropylene (HAL), in plywood (HAL Ply) or with a lightly padded shell covered in leather (HAL Leather). 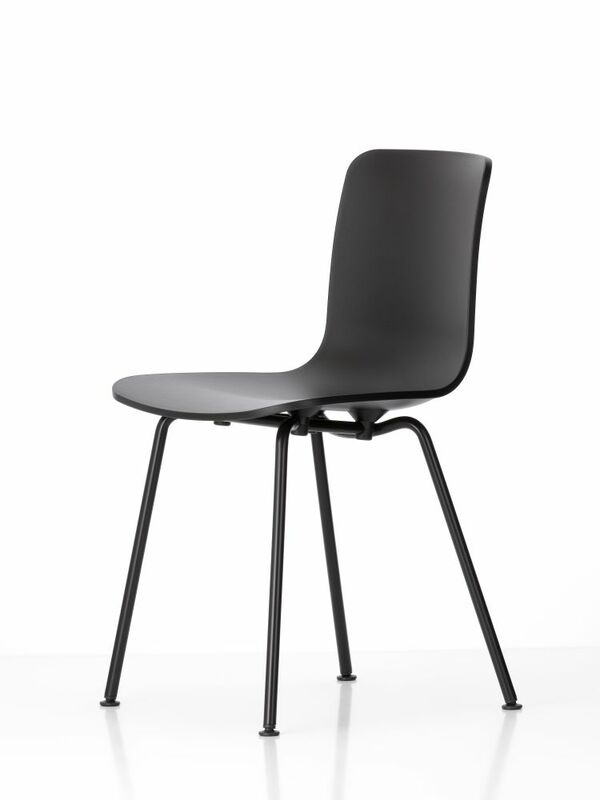 In the versions with a polypropylene shell and powder-coated base, HAL is also suitable for use in outdoor settings. As additional options, a fabric seat cover in various colours is available for all versions of HAL, and models with a plastic seat shell can be outfitted with a fixed seat cushion.The related HAL Armchair rounds out the HAL family.The HAL Tube stackable chair with a white plastic shell and limited edition ivory base is part of the "White Collection" and "Home Stories for SpringÂ 2016". BASE Four-legged base in tubular steel, non-stackable, chrome-plated or powder-coated in cream or basic dark. The powder-coated version is suitable for outdoor use.